Above is a chart from Fair-rite’s catalog. 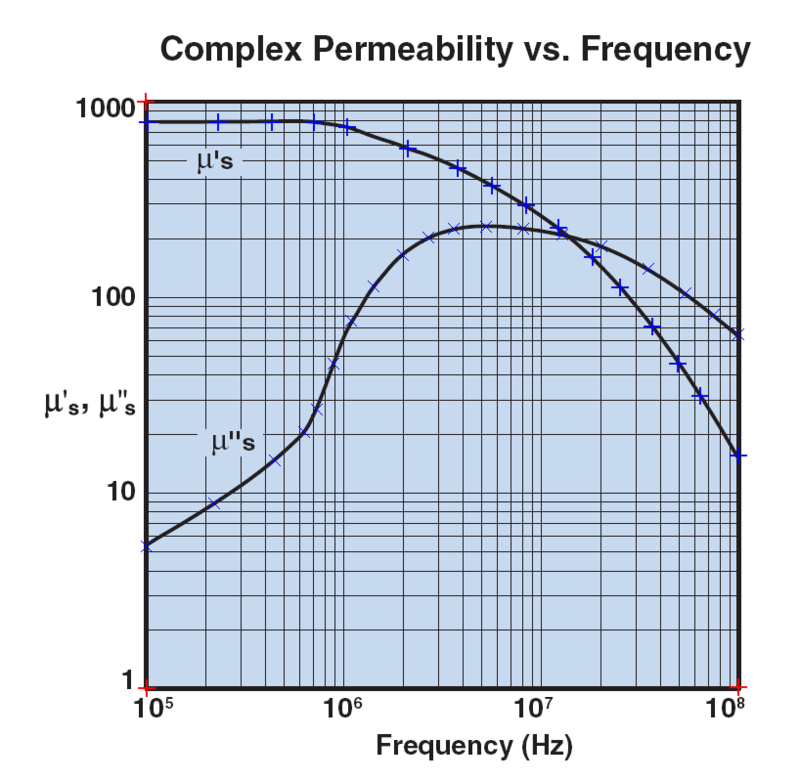 Permeability is a complex quantity and is frequency dependent. 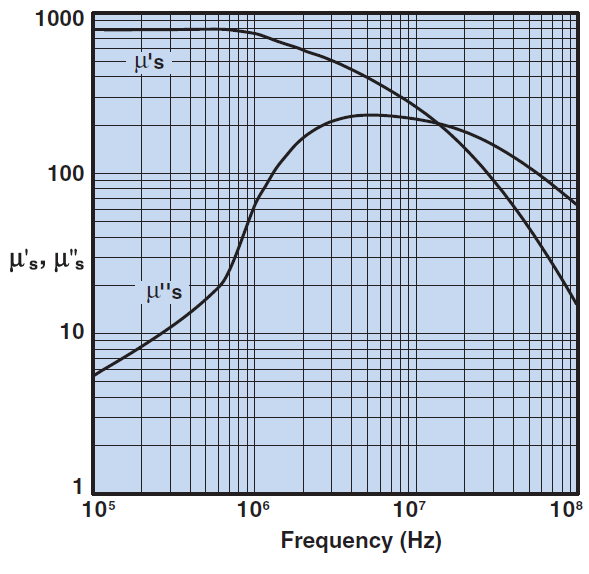 One could scale from the graph, the values for µ’ and µ” at the frequency of interest. For much of my work, I digitised such charts and used a cubic spline interpolation of key points to give a better estimate than scaling from the graph. Above, the manufactuer’s chart with digitised points added. More recently, Fair-rite published a table of measured values, presumably from which they had created the chart. 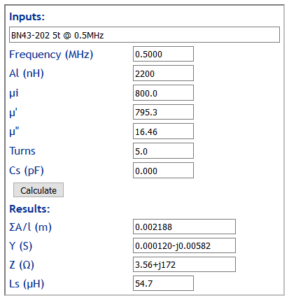 I have published an online calculator that contains data for some of the most common ferrite mixes, and functions to interpolate the data to arbitrary frequencies of interest. 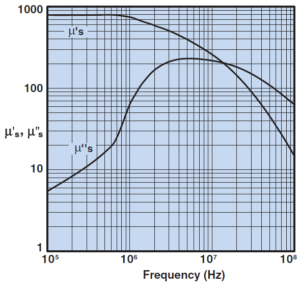 use those in another calculator to find the magnetising impedance. 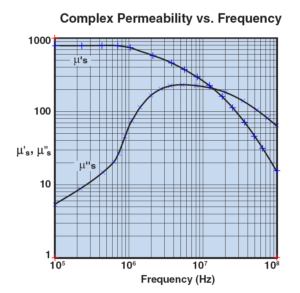 Above, Ferrite permeability interpolations output. Above, Calculate ferrite cored inductor (from Al) output.